Charming Riverview cottage. Off street parking & 1 car garage. 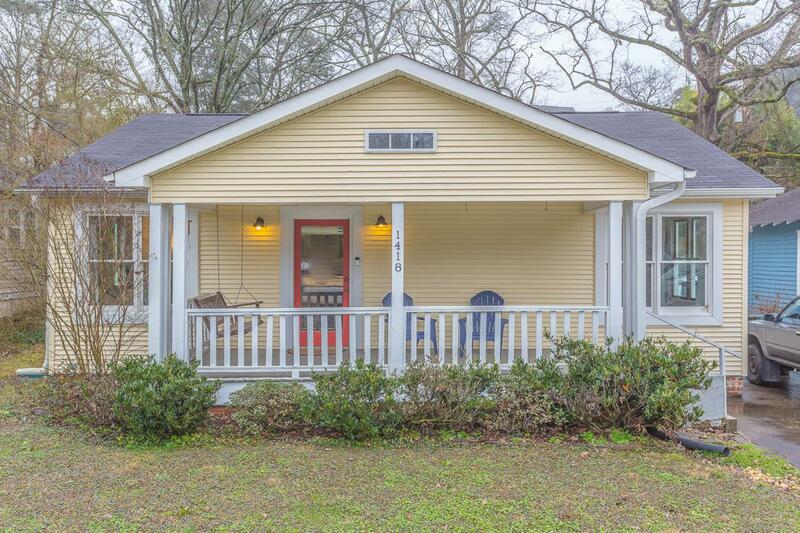 Large covered front porch with a porch swing. Fenced back yard with a large patio for entertaining. Walk into the home to a large living & dining area. Handsome vinyl clad windows on the front of the home give the living & dining room the appeal of stained wooden windows. Beautiful heart of pine hardwood floors, 8.5' ceilings, and a gas fireplace. The kitchen has tiled floors, new cabinets, solid surface counter tops, subway tile back splash, a breakfast area, built-in shelving, & an island. Updated 1/2 bathroom off of the kitchen. The kitchens spills into the sun room with walls of windows & tile floors. Hardwood floors in the BRs. 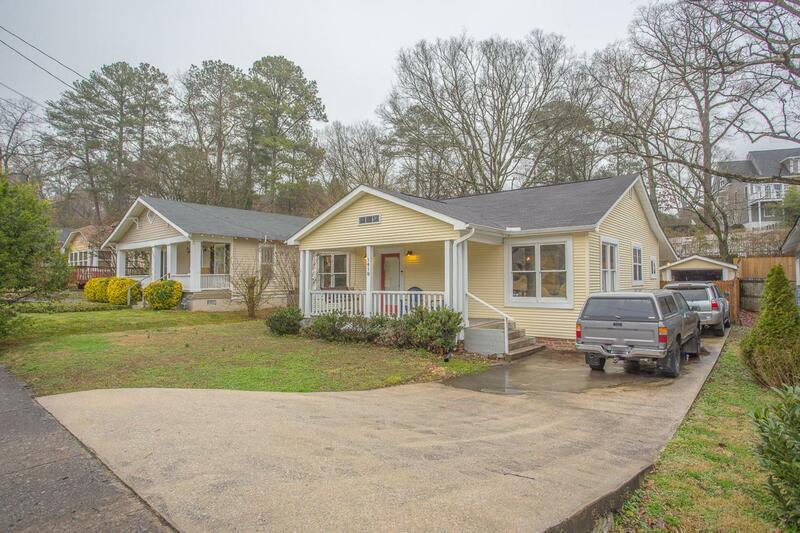 Remodeled full bathroom w/ new tub/shower surround, tile floors, Kohler sink and Kohler toilet.The main bedroom has a wall of windows and a great walk-in closet with a closet system. The 2nd bedroom can be entered from the hallway but also has French doors into the sun room. Walk down the street to Tremont Tavern, Il Primo, Southern Squeeze, Daily Ration, and Riverview Park.